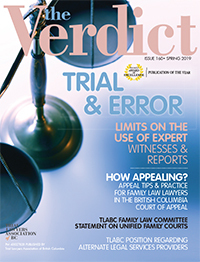 Since 1980 the Verdict has been bringing top-quality news and information to the legal profession. products and services related to the issues that matter to them. but one that is truly a national journal. those who work with the legal profession.